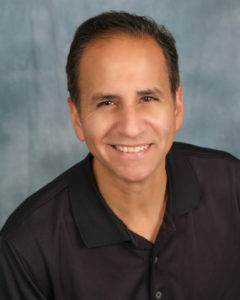 Louis Palacios, D.D.S is a 1986 graduate of University of Illinois, School of Dentistry. Practicing for over 20 years in Pennsylvania, Dr. Palacios is currently a member of the American Dental Association (ADA), Pennsylvania Dental Association (PDA), Academy of General Dentistry (AGD) and the Academy of Cosmetic Dentistry (ACD). Dr. Palacios is Past President of the Berks County Dental Society (BCDS of Pennsylvania). Dr. Palacios is a strong advocate of continuing education and as such has received certificates from the Pride Institute, Nash Institute, and McKenzie Management among others. He currently resides in Exeter township near Reading, PA with his wife and two children. Our practice is family oriented. Our caring team provides our patients with excellence in dental services in a comfortable, friendly environment. Our team is here to help you with all of your dental needs.